Andres Roots Roundabout: Rakvere Show In September! 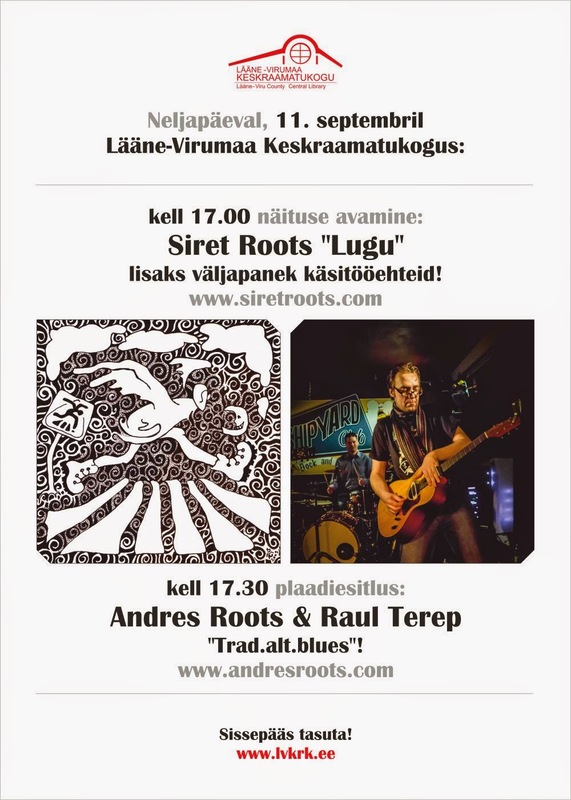 The "Trad.alt.blues" tour continues in Rakvere, at the Lääne-Viru County Central Library on September 11: Siret Roots' ink drawing exhibition opens there 5 p.m., 5.30 it's time for the concert. Free entry!